One of the biggest events of the year is on the horizon! Picture this: You’re in your shared student apartment or homestay in Spain, taking a break from your daily Spanish classes, when the windows start to rattle. Opening your balcony door, a haunting melody drifts through the air with a slow, rhythmic pounding that reminds you of a heartbeat. Drawn to the mysterious music like a moth to a flame, you step out onto the street, joining the streams of people flowing towards the source. The brass horns blare ever louder and two lines of faceless figures dressed in identical robes and tall, pointed hoods come into view. The music moves to the hypnotic beat of their thudding, synchronized footsteps. You stop to watch the procession. The hooded walkers pass, followed by an elaborately adorned float topped with a towering religious statue. Several of your fellow onlookers are crossing themselves, some with tears in their eyes. As you look more closely, you can see dozens of people supporting the float, all stepping in time as they carry their heavy load. The somber marching band brings up the rear, and as the trumpets wail, even the least religiously inclined feel a flare of emotion. Welcome to Semana Santa! From April 14-21, you’ll have a hard time stepping foot on the peninsula without witnessing the thrill and spectacle of this centuries-old tradition. That said, some cities are especially amazing this time of year. Take advantage of your 4-day weekend (or maybe you’re one of the lucky ones who gets the whole week off!) and hop on a train to some of the best places to experience Semana Santa. When it comes to the most famous and elaborate celebrations, nothing can top Seville. 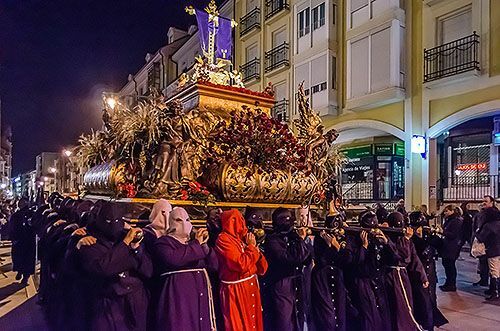 With tens of thousands of people participating in a staggering 60 processions throughout the week, the city lives and breathes Semana Santa – with an Andalusian twist. As the processions travel through the streets, you may hear someone sing a flamenco-style saeta from one of the lower balconies. 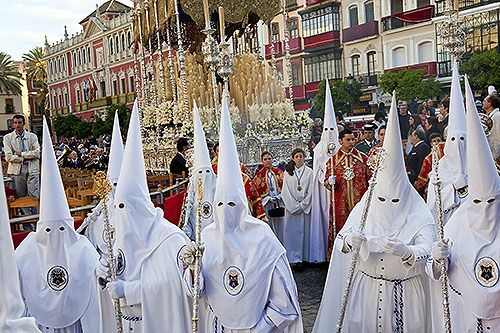 While Semana Santa in southern Spain can feel almost like a celebration, the events in Castille and Leon strike a more solemn tone. 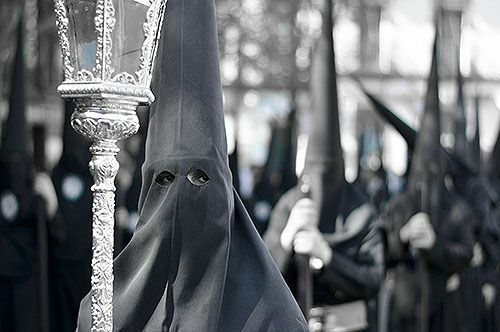 Make your way to Salamanca’s magnificent Plaza Mayor on the night between Good Friday and Holy Saturday for an eerie, mournful procession in which the hooded nazarenos are dressed all in black, from their (sometimes bare) feet to the tips of their hoods. The lights are all turned off, shrouding the square in complete darkness for the dramatic entrance of the glowing float of Nuestra Señora de la Soledad. Can’t imagine planning a vacation without some beach time? 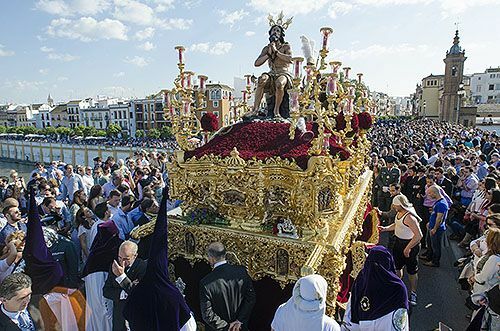 Holy Week in Malaga, on the Costa del Sol, is known for its spectacular golden floats and a curious custom. Since King Charles III began the tradition in 1759, on each Holy Wednesday, a person convicted of a non-violent crime is pardoned and released from prison. 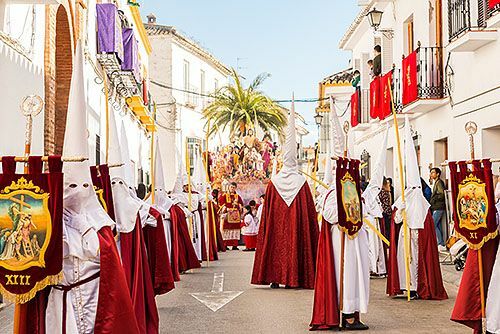 Malagüeños take Holy Week very seriously, and it’s a great place to experience the magic of a spectacular Semana Santa. Wherever you are next week, don’t forget to eat torrijas! This sweet Spanish treat, similar to French toast, is typically eaten around this time of the year. 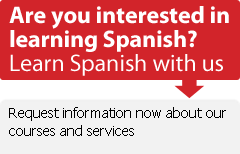 If you’re not currently studying Spanish in Spain, look up the recipe and let Spain come to you.